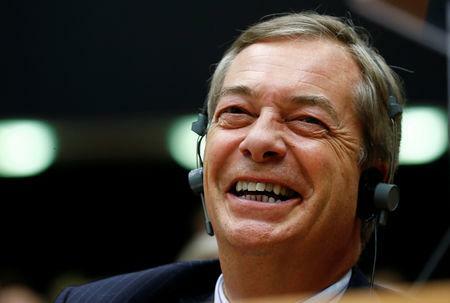 LONDON (Reuters) - Prominent Brexit campaigner Nigel Farage announced on Friday he would stand as a candidate for a new "Brexit Party" to contest European Parliament elections if Britain's departure from the European Union, due in 49 days, is delayed. "The party was founded with my full support and with the intention of fighting the European elections on May 23 if Brexit has not been delivered by then," Farage wrote in an opinion piece published by the Daily Telegraph newspaper. Farage once headed the anti-EU United Kingdom Independence Party (UKIP) but he recently said it was "unsalvageable" in its current state.